It’s exotic, incredibly cold stuff. 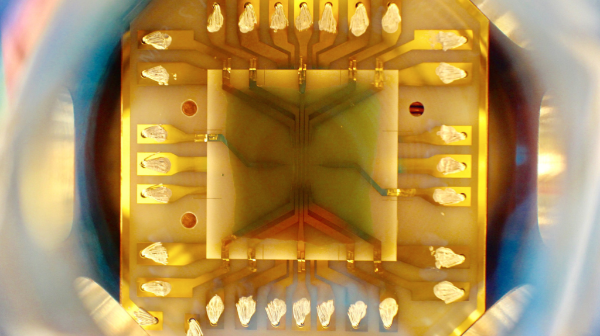 It was the first Bose-Einstein condensate made in space. Creating the condensate in low gravity allows it to hold longer. 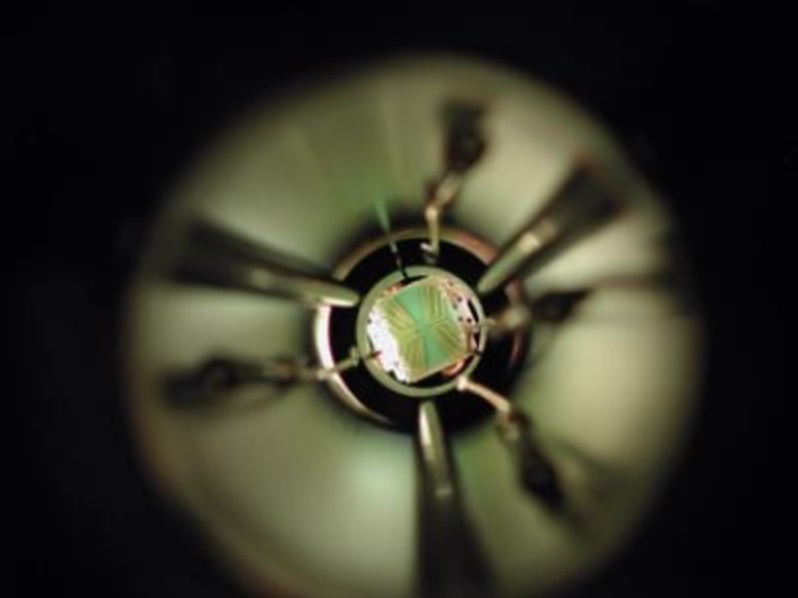 Scientists hope Bose-Einstein condensate will allow finer detection of subtle quantum phenomena. For six minutes, 150 miles above Kiruna, Sweden on January 23, 2017 floated the coldest known spot in the universe. As far as we know, the coldest anything in nature can be is absolute zero on the Kelvin scale, which is –459.67°F and –273.15°C. This postage-stamp-sized atom chip packed tight with thousands of rubidium-87 atoms was just a few billionths of a degree warmer than that. 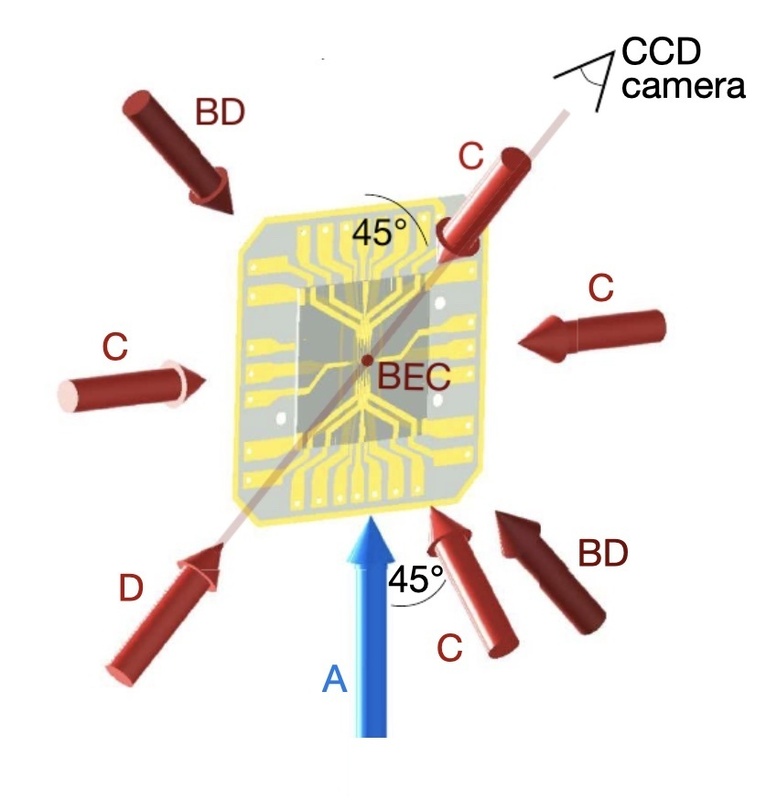 The atom chip was up there in low orbit to help a team of scientist study up-close some of the oddest, least-understood stuff there is: Bose-Einstein condensate (BEC). The team of German scientists was led by Dennis Becker of QUEST-Leibniz Research School, Leibniz University Hannover, Hannover, Germany. Bose-Einstein condensate is the fifth-known form of matter, after solids, liquids, gases, and plasma. When atoms in zero gravity reach a temperature close to absolute zero, they cede their individuality and act as one “super-atom.” At that point, they’re tens of thousands of atoms all vibrating in sync, creating something like a blob in which the tiniest of disturbances can be detected. Scientists hope that BEC can one day be harnessed for gravitational-wave detection. The 2010 experiment, close-up. (Max Planck Institute of Quantum Optics). The January 23rd experiment was the first time anyone’s created the Bose-Einstein condensate in space. 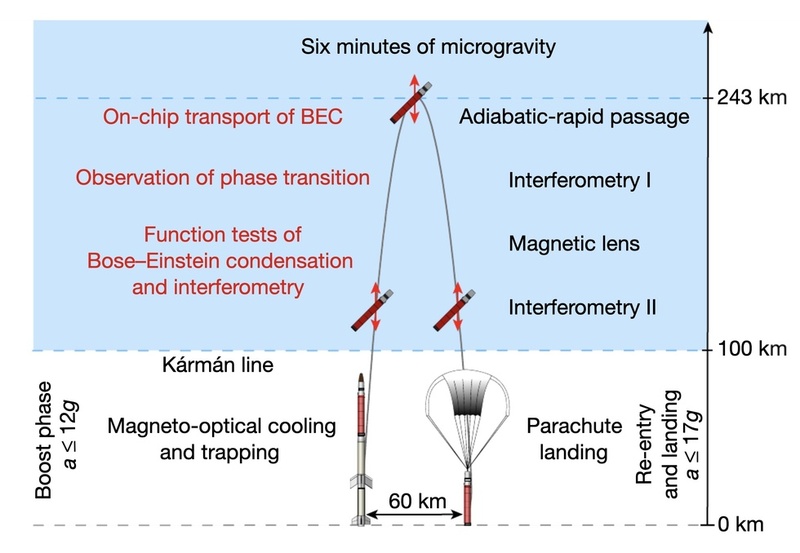 The low gravity allowed them to extend the viewing time to the BEC to six minutes, a massive improvement, allowing researcher to race through 110 remote-controlled experiments. 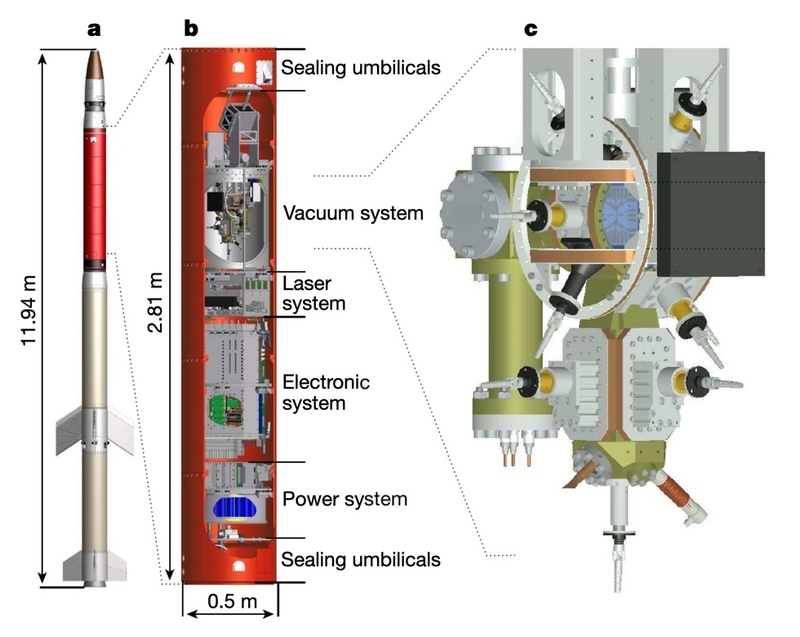 The team’s apparatus was launched into space under the auspices of the MAIUS 1, or Matter-Wave Interferometry in Microgravity. NASA has their own Cloud Atom Lab, an ice-chest-sized environment deployed on the ISS [International Space Station] for low-gravity BEC research. While Becker’s team made the first space BEC, the NASA team has reportedly been extending the time a BEC can be maintained.